3 Bedroom Semi Detached House For Sale in Ashford for Guide Price £450,000. Mann are delighted to welcome to the market the rare opportunity to purchase one of only 10 Forest cottages that were ever built. These 10 properties are set in amongst the notorious bluebell woods. Challock is a mostly wooded, large village and civil parish in the Borough of Ashford, Kent, England. Challock offers great commutable access and offers the crossroads of two major roads: the A251 from Ashford to Faversham, and the A252, which links Maidstone to Canterbury. The property has been completely refurbished throughout and everything in the property is brand new. The accommodation consist of a large living room, open plan kitchen/dining room, utility area and a W/C. The upstairs accommodation comprises of three double bedrooms and a three piece family bathroom. This refurbishment is at no expense spared! The property has been rewired, re plumbed, new boiler, new kitchen, new bathroom and the list goes on! 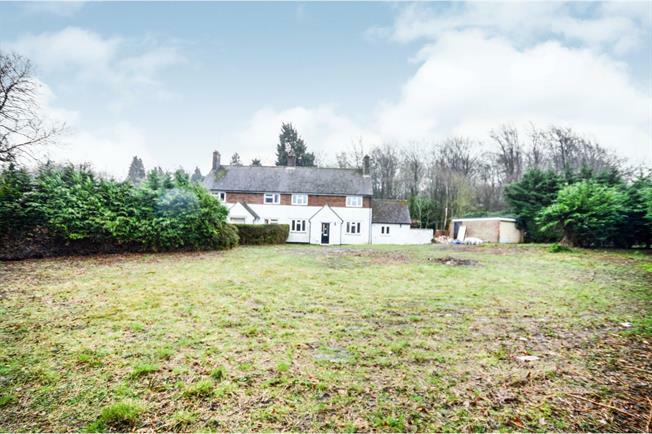 Not only is this property in immaculate condition it also sits on a large plot with a garage! Please call to arrange a viewing as these properties rarely come onto the market!